Common in older landscapes because of their quick growth, even the slightest breeze can make the silver undersides of silver maple trees look like the whole tree is shimmering. Because of its wide use as a fast-growing tree, most of us have a silver maple or a few on our urban blocks. In addition to their use as fast-growing shade trees, silver maples were also widely planted in reforestation projects. Continue reading to learn more silver maple tree information. Silver maples (Acer saccharinum) prefer to grow in moist, slightly acidic soil. They are moderately drought tolerant, but are more recognized for their ability to survive in standing water for long periods of time. Because of this water tolerance, silver maples were often planted along river banks or edges of other waterways for erosion control. They can tolerate high water levels in spring and receding water levels in midsummer. In natural areas, their early spring blooms are important to bees and other pollinators. Their prolific seeds are eaten by grosbeaks, finches, wild turkeys, ducks, squirrels and chipmunks. Its leaves provide food for deer, rabbits, cecropia moth caterpillars and white tussock moth caterpillars. 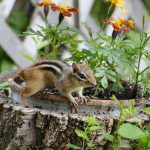 Growing silver maple trees are prone to forming deep holes or cavities that provide homes for raccoons, opossums, squirrels, bats, owls and other birds. Near waterways, beavers often eat silver maple bark and use their limbs for building beaver dams and lodges. Hardy in zones 3-9, silver maple tree growth is about 2 feet or more per year. Their vase-shaped growth habit can top out at anywhere from 50 to 80 feet tall depending on location and can be 35 to 50 feet wide. While they were once widely used as quick growing street trees or shade trees for landscapes, silver maples are not so popular in recent years because their brittle limbs are prone to breakage from strong winds or heavy snow or ice. Silver maple’s large vigorous roots can also damage sidewalks and driveways, as well as sewer and drain pipes. The soft wood that is prone to forming holes or cavities can also be prone to fungus or grubs. Another drawback to silver maples is that their prolific, winged seed pairs are highly viable and seedlings will quickly sprout up in any open soil without any special requirements, like stratification. This can make them a pest to agriculture fields and quite annoying to home gardeners. On the positive side, this makes silver maples very easy to propagate by seed. In recent years, red maples and silver maples have been bred together to create the hybrid Acer freemanii. These hybrids are fast growing like silver maples but more durable against strong winds and heavy snow or ice. They also have prettier fall colors, usually in reds and oranges, unlike the yellow fall color of silver maples.